Blue Riley has wrestled with her own demons ever since the loss of her mother to cancer. But when she encounters a beautiful devil at her town crossroads, it's her runaway sister's soul she fights to save. The devil steals Blue's voice-inherited from her musically gifted mother-in exchange for a single shot at finding Cass. Armed with her mother's guitar, a knapsack of cherished mementos, and a pair of magical boots, Blue journeys west in search of her sister. When the devil changes the terms of their deal, Blue must reevaluate her understanding of good and evil and open herself up to finding family in unexpected places. 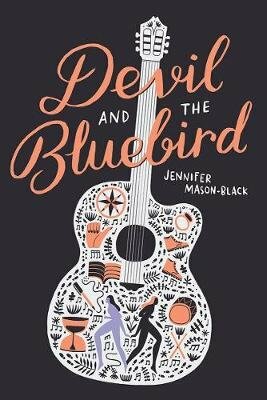 In Devil and the Bluebird, Jennifer Mason-Black delivers a captivating depiction of loss and hope.